When I go to conferences where there are MQ sessions, but also other content as well, I like to be able to see all the MQ sessions in a grid – makes it easier to figure out which sessions to go to. I don’t know if you’d noticed, but not all the MQ sessions at Integrate Tech Con are in the Messaging stream? There are a couple in the Partner stream whose abstracts are in another PDF from the rest of abstracts for the Messaging stream. In addition there are several time slots where more than one MQ session is running. Since I have created it for my own use, I thought I would share it in case others find it useful. It’s a single page PDF which can be downloaded by clicking on the image below. Hope it helps you, and see you at the conference next week! On Thursday 21st March, IBM Hursley made available IBM MQ V9.1.2, the latest continuous delivery release of MQ. 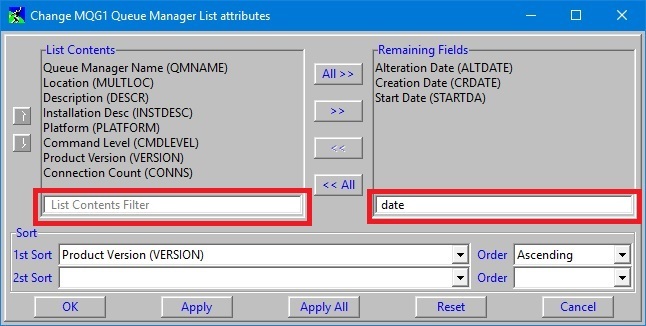 One of the features in V9.1.2 is the ability to set the application name for your MQ application. This is part of the bigger Uniform Cluster feature, but it is also worth taking a quick look at this on its own. Since V7.0.0, IBM MQ has displayed the application name of a client application in a Channel Status field called RAPPLTAG (Remote Application Name). 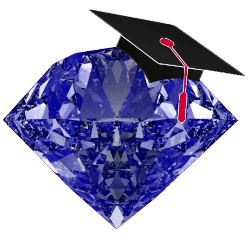 See my IBM MQ Little Gem #2: RPRODUCT and RVERSION blog post for more details. This is possible because the IBM MQ Client code interrogates the O/S to discover the name of the executable and then sends this to the queue manager who puts it on display. 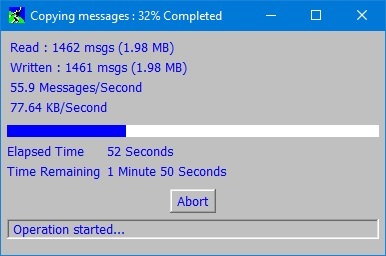 This was great for many client applications, but not so much for Java client applications who most of the time were displayed with the wholly unhelpful application name of java.exe or javaw.exe. So in IBM MQ V7.5, the Java client was updated to either automatically send the main class name, or to look for an application provided property to provide a useful application name. 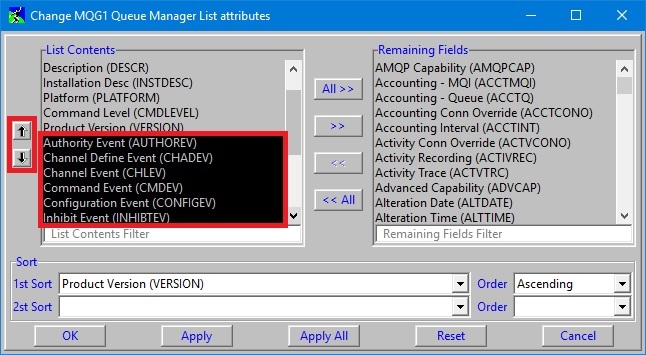 This change was made in the IBM MQ V7.5 client code, but did not require any corresponding change to the queue manager – it just caused a different value to be sent by the client. This meant an MQ V7.5 Java client application could be properly identified even when connecting to an MQ V7.0.0 queue manager. Which will let you see something like this in your Channel Status. 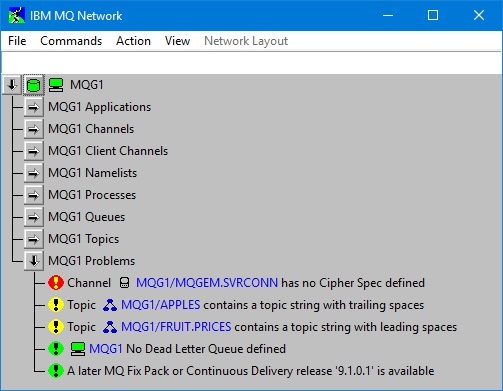 We’ve taken advantage of this here at MQGem and have labeled our MO71 GUI Administrator to make it obvious to people what the connections coming from that tool are. This new feature of setting an application name works for both clients and local bindings applications when both your queue manager and client are at V9.1.2. However for client applications specifically, this works just fine with older queue manager’s as well – all you need is the client (which is freely downloadable) to be at V9.1.2 and your client applications can set the name they wish to be known by.